Unfortunately, every natural disaster that hits the US seems to bring out the best and the worst in people. Whereas first responders are out to help citizens stuck in bad weather, some wait for the emptiness after the worst of the storm passes to steal other people’s belongings. 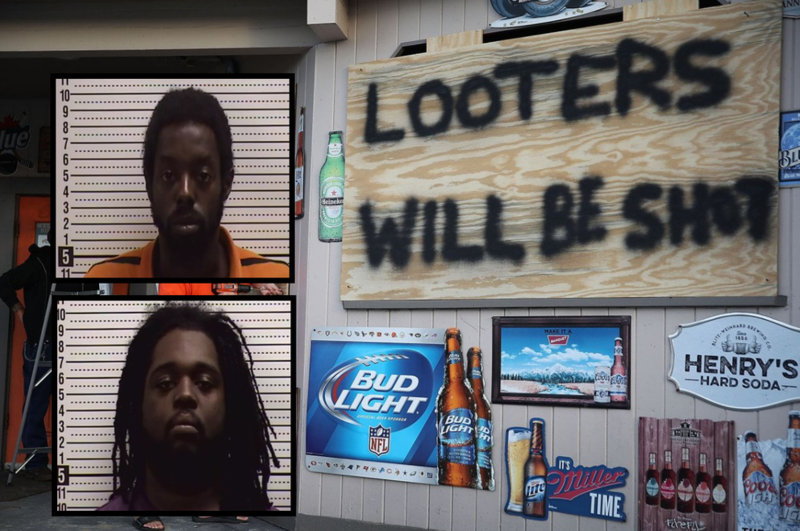 As was to be expected, looting has started after the passage of hurricane Florence. One of the first places to feature arrests was Leland, North Carolina where the sheriff’s office saw people breaking into a convenience store called Tommy’s Mini Mart. Two suspects were identified by the Brunswick County Sheriff's Office as Dashaun Smith (25 years old) and Brandon Bellamy (30 years old). The Brunswick County sheriff's office arrested the men and charged them with possession of burglary tools and breaking and entering. They are both being held on a $20,000 bond. Others were arrested for trying to steal cars. As the hurricane brings down winds and rain on the Carolinas, some people on social media are apparently hoping for some serious destruction. The number of tweets wishing for great devastation in the two states and hope that all ‘racists and bigots’ would be washed away were omnipresent on Twitter. Of course, we are sure that Mr Jack Dorsey, CEO of Twitter, is chasing them up for this. UGLY IS AS UGLY DOES! LOOK IN THE MIRROR! YOU DONT HAVE TO LOOK ANY FARTHER THAN THE END OF YOUR OWN HATEFUL NOSE TO SEE WHO ARE THE REAL RACISTS AND CRIMINAL LOVERS! And the lefty MSM will twist it to "Trump fails to stop looting in storm ravaged areas." They dindu nuffin they was on they way to church. Because stealing TV's and clothing and nike T-shoes …. with the power out is nothing but looting and I'd support shooting of any such thugs. What is so hard about the civilized way we did it in the 1960 -90's ? Where supermarkets and restaurants just had customers sign to pay for carry out food items and / or cooked for free the freezer items before they began to thaw? eg. Florence SC after Hurricane Hugo, many area super markets and restaurants cooked thawing items before they spoiled and gave the food away. Not expecting cash or check donations. One burger place just use happy meal boxes on the counter to collect donations. NO one stole the boxes. Hurricane Flo (mid 1990's) RTP area, the Utility crews went around powering up fast food places to allow everyone hot food hours after it blew thru. Waffle House and others places provided free meals and coffee for the 1st responders and utility crews for the next several days. because people are full of the devil these days… they are not even human… no heart no soul no conscience!!! greed and hate the devil lockstep. the bible told the truth about these unnatural people, no love no compassion, no natural affection. murderers of humanity!! Niggers aren't human. It's long past time we started dirtnapping them.